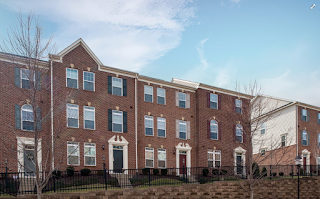 Special incentives for buyer - call/text 540-585-1245, or email Shawn@1245team.com NateJohnson@1245team.com to check on buyer incentives and schedule your private showing! WOW, this townhouse in an AMAZING location is available! Shopping & dining galore, easy to I-95 & VRE! 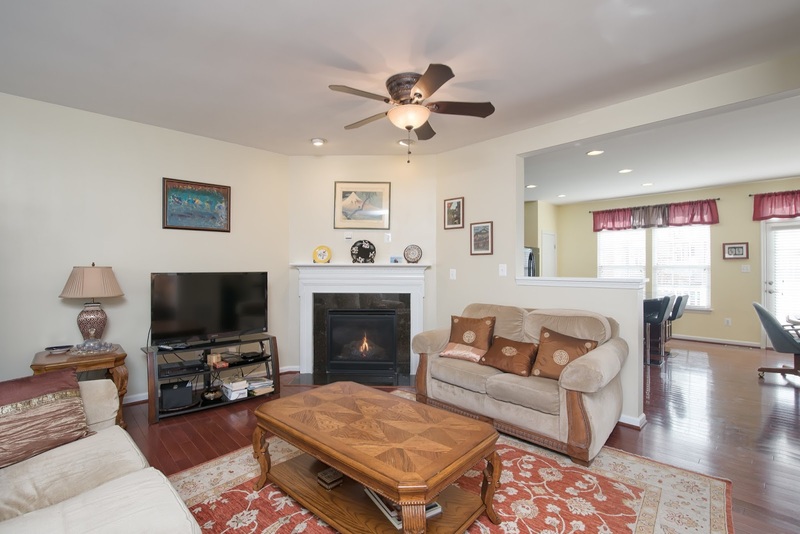 Features 3-levels of living, fresh paint, cozy living room w/fireplace, wood floors, large deck, & double stall garage. Gourmet Kitchen boasts double ovens, granite counters, pantry, & huge island. Potomac Club Gated Community has TONS of amenities: 3 Pools, Fitness Center, Rock Wall, & more! This is suburban living and a Washington, DC bedroom community. The area (Route 1, Opitz Boulevard, Prince William Parkway) has many businesses. There are good restaurants in just about every price range. The public library is convenient and so is Potomac Mills Mall. It is 30 miles from Washington DC. I-95 is convenient if one wishes to drive north or south. Additionally, the Virginia Railway Express (commuter line) Rippon station is a 10 minute drive from the house. It was my preferred mode to travel to work in the district. The medical care network is good and the Sentara Hospital is less than a mile from the house. We like to shop in the area, dine out, and see a movie. All are very convenient. If you are inclined there are several Civil War battlefields in the immediate area. Favorite restaurants nearby include, Brixx (wood oven pizza), Firebirds Grill, Not Your Average Joe’s, and P.F. Chang. There are also two Brazilian Barbecue places (The Knife and the Grill), Carrabba’s Italian Restaurant, The Outback Steakhouse, several Vietnamese restaurants (Saigon 75 and Chopsitcks), 2 Korean restaurants, 2 Chinese buffets (Hibachi Grill and Grand Chinese), Bahama Breeze, and Red Robin among others. We go out quite a bit. There are also several places that deliver through Grub Hub. We love our neighborhood. It is a gated community. There are large common areas where children can play and where people exercise themselves and their pets. The clubhouse has a good fitness room with free weights, various weight machines, and treadmills. There is a person on staff who can show you how to use the equipment. There are 3 pools – 1 indoor, 2 outdoor. There are fitness classes available, paid for by the HOA fee. The HOA also sponsors seasonal parties for the residents during the year. The shopping is convenient. There are clothing stores, restaurants, and a large grocery store in the Stonebridge Shopping Center (across the street). The Potomac Mills Mall is convenient, too, with its large variety of restaurants and stores, including a Costco warehouse and an AMC multiplex. Our home was the nicest place we had seen and it fit our needs. An additional selling point was the wood floor in the kitchen. There is also a 2-car garage. 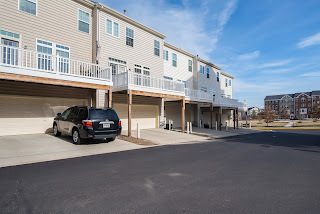 It was a good price and is in a quiet neighborhood – it is also a gated community. We live in a townhouse condominium, so no outside maintenance responsibilities which is wonderful. We like the large kitchen. It has a gas cook-top, a French door refrigerator, and double electric ovens. 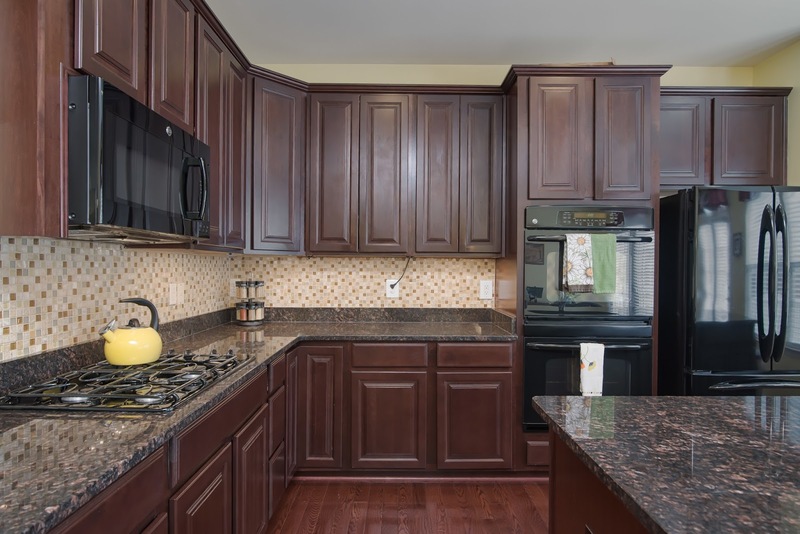 It has a good amount of cabinet space and the appliances blend well with the granite counter tops. The living room (on the 2nd level) is a large space. The master bedroom is a good size, while the 2nd bedroom on the upper level is also quite large. I use the large room on the lower level (with French doors) as a study but it could be used as one wishes. We also like the number of bathrooms (2.5 – one attached to the master suite, one on the 3rd level and a half-bath on the 2nd level, convenient for guests). While living here we have made additional upgrades to the home. We put in under-counter lights and a back splash in the kitchen. We also put in wood floors in the living room and the stair cases. We had the 2nd bedroom painted along with the kitchen, the study, and the half bath on the 2nd level and the bathroom on the 3rd level.